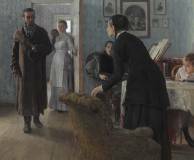 Exhibition in Moscow city at the Tretyakov Gallery is part of The Painter and His Time, a program on the history of 18th-early 20th century Russian drawings. The new exhibition focuses on one of the key moments in the history of Russian art, as illustrated by the “Revolt of the Fourteen”, the foundation of the Artel of Artists in St. Petersburg and that of the Society for Travelling Art Exhibitions. 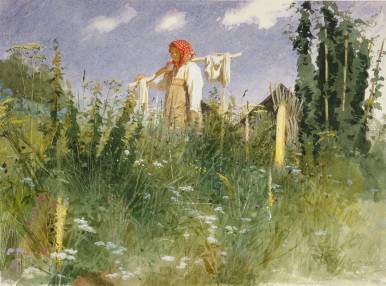 On view are watercolors and drawings by the Peredvizhniki, culled from the holdings of the Museum.